While most of us may have heard that both Keith Ellison and Thomas Perez are vying to become DNC chairman, many more of us aren't aware of other candidates running for that position. 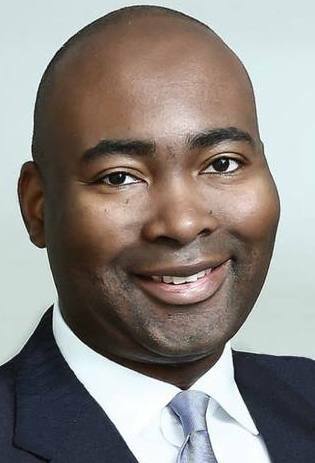 One such candidate is South Carolina Democratic Party Chair Jaime Harrison. Once I became aware that he was running I reached out to him via Twitter to set up a interview and he quickly responded to my request. Check out my interview with Chairman Jaime Harrison on why he believes that he is the right person to be DNC chair below. George Cook African American reports: Please introduce yourself and give us a little background on Jaime Harrison. Jaime Harrison: I think I understand the challenges of so many Americans who feel disconnected and disaffected, because I grew up under similar circumstances. I understand we have to grow the Democratic Party from the ground up at the in every community. I was born to a teen mom in rural South Carolina. My mom would often have to travel to Atlanta to find work. During those times, I was largely raised by my grandparents. While my family struggled economically, they poured all of their resources into providing me with the best life possible. My childhood memories are not of struggle and poverty—they are memories of comic books, my grandmother’s lima beans and ham hocks, and the loving relatives who worked tirelessly to provide me with the opportunities they were not afforded. I did whatever it took to make sure I made the most of my opportunities—whether it was thumbing through comic books and my grandparents’ bills to improve my reading skills, or studying furiously to try to impress my teachers. My hard work and my family’s sacrifice paid off when, after months of walking to the mailbox to check for that thick, yellow envelope, I was accepted to Yale University—making me the first person in my family to attend college. At Yale, I struggled initially. My first semester, I found myself well behind the other students, many of whom came from elite prep schools and wealthy families. But after a rough start, I put in the extra time and work and watched my grades slowly, but surely, trend upward. Throughout my career, I have worked to provide mentorship and guidance and create opportunity for young people in the same situation where I began. After graduating from Yale, I returned to South Carolina to teach 9th grade social studies at my alma mater, Orangeburg-Wilkinson High School. In 1999, I moved to Washington, DC to become the COO of College Summit, a national non-profit dedicated to helping low-income students get into college. And after graduating from law school at Georgetown, I joined the staff of Congressman James E. Clyburn, my hometown Congressman. Under Congressman Clyburn, I served as Executive Director of the House Democratic Caucus and as Floor Director for the House Majority Whip. During my time as Floor Director, I was responsible for securing 218 votes to pass every piece of legislation that came to the House floor. The House passed the most progressive agenda in a generation, including a minimum wage increase, the Lilly Ledbetter Fair Pay Act, the Matthew Shepard Hate Crimes Prevention Act, and legislation withdrawing U.S. troops from Iraq. And we never lost a party-line vote. After I leaving Capitol Hill, I joined the Podesta Group, working on transportation and other issues from racial reconciliation to deepening Charleston Harbor. In 2013, following my return to South Carolina, I was elected Chair of the South Carolina Democratic Party. As Chair, I have overseen successful initiatives such as the John Spratt Issues Conference, James E. Clyburn Political Fellowship, the 2016 First in the South Democratic Primary, and SC Democrats Care. I live in Columbia with my wife Marie, a law professor at the University of South Carolina School of Law, and our 2-year-old son. He is my biggest motivation for bringing Democrats back into power so we can build the country that all children deserve, where everyone has the opportunities like I did to live the American Dream. George Cook African American reports:Why are you running for DNC chair? what can you bring that other candidates can not? Jaime Harrison: I am running for DNC Chair because we need to rebuild our Party from the grassroots in every community in America. With Trump and the Republicans in full control of the federal government and dominant in the states, the stakes for our country could not be higher. I believe I have a unique set of skills and experiences that will serve the DNC well. As a State Party Chair in a red state, I know the struggles that each State Party encounters. I know what it’s like to fight to keep the doors open, meet a payroll each month, and conduct effective party building efforts. In 2018, have several U.S. Senate and governor's races in states that Donald Trump won in 2016. To win, strong State Parties will be essential. I know what we need to do to improve. I also have experience in Washington, DC and with uniting diverse group of Democrats. As I mentioned earlier, as Floor Director for Majority Whip Clyburn, I had to corral 218 votes to pass every piece of legislation we brought to the floor for a vote. In the 110th Congress (which had a Democratic majority from every part of the country thanks to Howard Dean's 50-State Strategy), the Democratic Caucus was incredibly diverse with regard to ideology, region, and ethnicity. There was little margin for error, but we never lost a party-line vote during my time as Floor Director. I know I can unite the Democratic Party now because I've done it before. I know what it takes to build an organization from the ground up. When I was 23 years old, I started working at College Summit, a non-profit organization that helps low-income students go to college. When I started as COO, there were four of us in one office in Washington. Over the next decade, as COO and then as a member of the Board of Directors, I helped College Summit expand nationwide to serve thousands of students. President Obama even donated a portion of his Nobel Peace Prize award to the organization. George Cook African American reports: What would be your top three priorities as chairman? Jaime Harrison: My top three priorities are reinvesting in State Parties with a revitalized 50-State Strategy; re-connecting the Democratic Party with our communities; and protecting and enhancing our democracy. In 2006 and 2008, we took back Congress and the presidency because of Howard Dean's 50-State Strategy. But then we abandoned it. As Chair, I will invest in all 50 State Parties (plus those in the territories and Democrats Abroad) by increasing the State Partnership Program to $12,000 a month and easing restrictions on how that money is spent. I will also ensure that we provide State Parties with professional and specialized operations, capabilities, and in-kind services on a permanent basis through regional Caucus hubs, i.e., provide political, press, fundraising, and tech staff dedicated to serve state parties in each region. If we want to rebuild people's trust in the Democratic Party, we can't just tell people we care about improving their lives; we have to show them. We can no longer be a political organization looking for votes every two or four years; we must become a community organization working in our neighborhoods with grassroots activists addressing the day-to-day issues faced by middle and working class voters. Relatedly, we need candidates and Party activists who come from every community. In South Carolina, we have established the Clyburn Fellowship, bringing together dynamic young leaders from throughout our state to participate in a rigorous nine-month training program to prepare them to run for office, manage campaigns, and lead local parties. The DNC must ensure that similar programs exist nationwide to groom candidates who can speak to the concerns of their constituents. Our democracy is threatened on a number of fronts, and the DNC must lead the fight on all of them. We must back against the Republicans' undemocratic and un-American efforts to suppress voting. We must fight to overturn Citizens United and related cases and enact real reform to get big money out of politics. As we fight, I will cultivate small-dollar donors to the Democratic Party at every level. The DNC must fight Republican gerrymandering, so that voters pick their politicians, not the other way around. We have to fix the undemocratic Electoral College so that the candidate with the most votes wins. We need to start improving our democracy now—in states where Democrats are in control, we should create laboratories for democracy so that every eligible voter has access to a meaningful ballot. In fighting assaults on our democracy, as with all of these fights, can't just be reactive; we have to be proactive. George Cook African American reports: Where can readers find out more about you? You can visit my website, jaimefordncchair.com, and find me on Twitter at @harrison4DNC and on Facebook at www.facebook.com/JaimeforDNC. Your suggestions and feedback are welcome!